Do you always love enjoying your weekend with your friends and family members? There are many people that love to take their family out for a nice weekend trip, but if you are thinking about some getaway you need to look out for some events that are happening in the city. There are many websites that can provide you with the information about where you can hangout and have a great time with your friends and family. The Vivid Sydney Festival 2012 is just happening in Sydney and therefore you can enjoy some great time with your family and friends if you are in Sydney. The Vivid Sydney festival – the largest celebration of light, music and ideas in the Southern Hemisphere will provide you with complete fun and enjoyment that you need. This is the fourth year of the event and many people already have arrived in the city to enjoy the event. The event has already started from May 25 to June 11. The event is bigger and better this year as there are 60 light installations at the event. 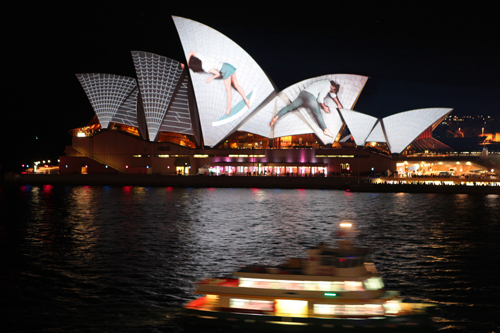 The festival also has the iconic Sydney Opera House sail that has been created by award winning German design team called UrbanScreen. Lighting the Sails is the first lighting show that is going to happen at the event and thousands of spectators come from all parts of Australia and the world to enjoy the event. There will be low light displays as well at the event and various artists from all over the world including France, Poland, Scotland, Hong Kong, USA, Brazil, Singapore, New Zealand, and Australia are participating in it. One can also enjoy the CBD skyline that one can get to see when they are the event. The event is expecting more than 500,000 visitors from the city. There will be exchange of ideas where global thinkers will come together to discuss on various global topics. I think this is just going to be a fun time because last year was definitely a great event. There is no doubt that some of the best events happen in Sydney and we don’t even realize it.